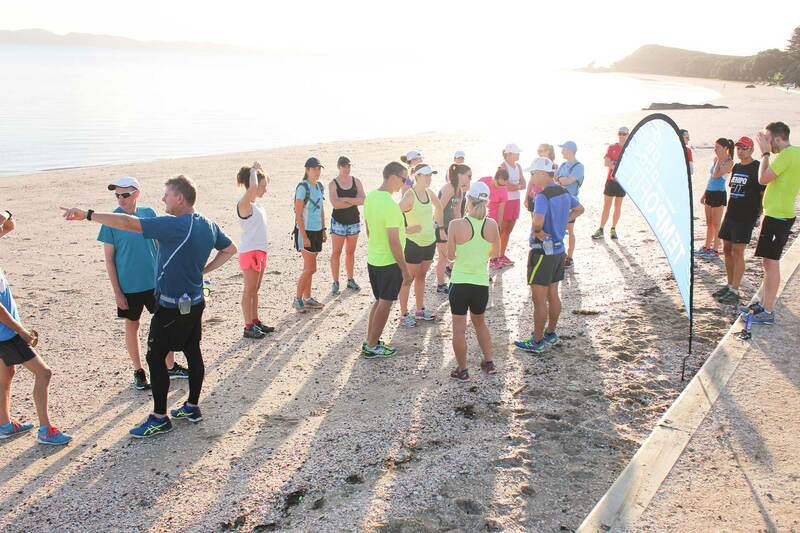 So I’m keen to do a 6-week season of TempoFit, it’s a couple of weeks out from start up, so what should I be doing? And what if I’m beginning … like, literally just rolled off the couch and clicked on this website? Well, we’ve put together three 2-week training plans to help get you ready for the season. One is for absolute beginner runners, one is for intermediate runner and the third is for those currently doing a lot of running mileage (i.e. regularly doing long runs of 15k or more). Who for? This plan is ideal if you haven’t even looked at a pair of running shoes for months or years. It does require that you can currently walk 30 minutes and we recommend everyone have clearance from their doctor before undertaking a running training plan. Focus: We’ll aim for three walk/runs each week and include plenty of C&C (core and conditioning) to get the body strong and ready for more running. Throughout these runs be sure to focus on standing nice and tall with good posture, running with quick shorter steps and staying as relaxed and as happy as possible—it’s amazing how simple tweaks in posture can improve the way we feel about our running. Monday: 30-minute walk with 4×2-minute runs in the middle of the walk at an comfortable pace (you should finish each 2-minute run feeling like you could have run three times as long at the pace at least). 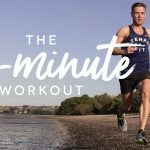 Follow each 2-minute run with a 2-minute walk. Wednesday: 30-minute walk with 3×3-minute runs in the middle of the walk, each followed by at least 3 minutes’ walk. Saturday: 3k run with 1-minute walk breaks every 1km, plus 2 minutes of walking to start and finish. Again, don’t worry about the pace of your running. Go at a speed that doesn’t leave you absolutely exhausted. Monday: 40-minute walk with 6×2-minute runs in the middle of the walk, each followed by at least 2 minutes’ walk. Wednesday: 40-minute walk with 3×5-minute runs in the middle of the walk, each followed by at least 3 minutes’ walk. Saturday: 4k run with just one 2-minute walk break at halfway. If you can do this run on your own then you can definitely complete 5k with a group of other supportive runners around you. Which means you’re ready to tackle TempoFit! Now you’re more than ready to join the team at TempoFit. Get excited! Who for? So you run once or twice a week of no more than 10k at a time. Perhaps you play some team sport or go to the gym regularly. This plan requires that you are already reasonably active. Focus: We’ll aim for three runs each week and include plenty of C&C (core and conditioning) to get the body strong and ready for more running. Monday: 5k easy paced run. Easy pace means that you’re going slow enough in order to still hold a conversation while running. So keep the foot off the gas but be sure to keep your stride nice and quick (with shorter steps) and a gentle foot strike on the ground. Begin and end each run with a few minutes of walking as a warm down and warm up. Wednesday: 6k easy run with 3x10sec strides. Strides are fast, controlled runs (not sprints) designed to develop good running form and prepare you for more faster running to come. 10secs might be half the length of a football field. Follow each 10-second effort with 1-2mins of easy jogging. Do the strides towards the end of the run, when you are fully warmed up. Saturday: 10k long easy-paced run. Feel free to take a couple of quick walking breaks in this run in order to keep your effort levels genuinely easy. Who for? 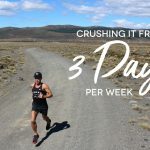 You currently run 4 or more times per week and frequently run more than 15k for your weekly long runs. Focus: For this plan we’ll aim for five runs per week, however, some people may like to add more runs or more mileage. Please be sure to limit your increases in weekly mileage by no more than 10% each week and also the length of your long run by no more than 10% per week. Throughout these two weeks be sure to run with a focus on standing nice and tall with good posture, running with quick shorter steps and staying as relaxed and as happy as possible—it’s amazing how simple tweaks in posture can improve the way we feel about our running. Tuesday: 8k easy paced run 3x15sec strides. Easy pace means that you’re going slow enough in order to still hold a conversation while running. So keep the foot off the gas but be sure to keep your stride nice and quick (with shorter steps) and a gentle foot strike on the ground. Strides are fast, controlled runs (not sprints) designed to develop good running form and prepare you for more faster running to come. 10secs might be half the length of a football field. Follow each 10-second effort with 1-2mins of easy jogging. Do the strides towards the end of the run, when you are fully warmed up. Saturday: 8k run with 4 bursts of faster running of 2 minutes each. This faster running we will call “comfortably hard” and you should be able to hold this pace for one hour if you had to, so 4x2mins isn’t exactly going to leave wiped out. Jog for 2mins after each 2min effort. Do these efforts in the middle of your run only when warmed up. Tuesday: 8k easy paced run 5x20sec strides. Saturday: 9k run with 6 bursts of faster running of 3 minutes each at a comfortably hard pace (2mins jog recovery after each effort). SIGN UP FOR OUR NEXT SEASON! 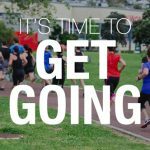 This entry was posted in Training Tips and tagged beginner running plan, running coaching, running training plan, TempoFit, training plan. Bookmark the permalink.